The new responsive Before and After Image Effect Muse Widget lets you create awesome interactive effect using a before image, an after image and a nicely designed slider that can be pulled across the image to reveal either the “before image” or the “after image”. Setting up this widget is super-easy, it is fully responsive and is multi-breakpoint ready which means we’ve already set it up for your Muse responsive website, for 5 separate layouts. Easily demonstrate a process at it’s start and end phase using Before and After Muse Widget. A “Before” image is used to show the original image and an “After” image to show the final effect. Multiple types of projects can be created using this widget. For instance, to demonstrate photoshop skills with unedited image as the “Before” image and with the photoshopped image as the “After Image”. It can also be super handy for showing results of medical procedures such as dental work and more, an also it’s very useful for any kind of construction or decoration work, where before/after effects are crucial for a good portfolio. These are just a couple of examples, possibilities for the practical use of the Before and After Image Effect Muse Widget are limitless. 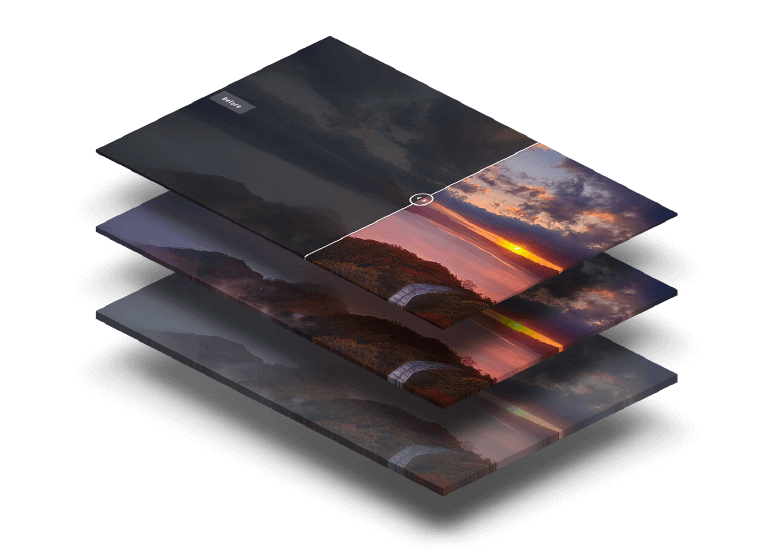 A widget that lets you combine two images, a “before” image and an “after” image, with a cool reveal effect. Multiple types of projects can be created using this widget. For instance, to demonstrate photoshop skills with unedited image as the “Before” image and with the photoshopped image as the “After Image”. It can also be super handy for showing results of medical procedures such as dental work and more, an also it’s very useful for any kind of construction or decoration work, where before/after effects are crucial for a good portfolio. These are just a couple of examples, possibilities for the practical use of the Before and After Image Effect Muse Widget are limitless. Yes! MuseShop.net Before and After Image Effect Widget is Responsive! And it is fully customizable, it lets you choose slider direction, slider position, responsive options, add custom labels or change label language.